when she told you to write your name on your paper?! ... turns out marking your stuff makes it possible for it to be returned. Burglary is one of the most frequently committed crimes in the United States. Wouldn’t it be great if someone thought up a nation-wide system that allows citizens to help law enforcement catch thieves while also protecting their own property? Well, good news for you, I have made it my own personal mission to do just that. Oh… umm… I guess that’s already been done. That’s embarrassing! 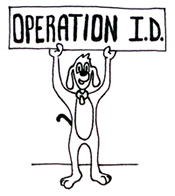 Operation ID is a program, originating in New York, that has spread throughout the nation because of its great success. The purpose of Operation ID is to deter theft through branding products, making it difficult for thieves to resell stolen property and increasing the likelihood of the criminal being caught. 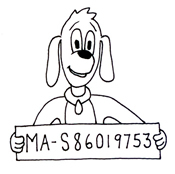 If a thief is aware of the use of Operation ID in a particular neighborhood, he will most likely leave your community alone (unless he enjoys patty-wagon rides and striped pajamas). The use of this inventive branding system allows authorities to identify the property as stolen, prosecute the criminal, and return the goods to the rightful owner from anywhere in the country. (I wasn’t exaggerating about that nation-wide part). So, not only will you be keeping your valuables safe, you will also be helping law enforcement put criminals behind bars. What more can you ask for in an upstanding citizen? Different areas use different numbering systems, so see your local police department or your school’s safety organization for specific instructions on how to go about protecting your stuff with Operation ID. Please be aware that you should never ever use your social security number as your ID number. If you are advised to do so, I would suggest talking to someone else, ‘cause that guy’s probably looking to open credit cards in your name…Yikes! (To read more about identity theft, check out this article. It’s remarkably eye-opening.) No matter what your community’s method is, the identification number that you use is yours forever. It will not be duplicated, it will not expire, it belongs only to you. CD/DVD Players Camera Anything You Value! Before you begin engraving that number on the back of your Rolex, try practicing on something a little less expensive first… perhaps that piece of junk coffee table in your garage?? 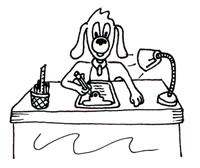 Make sure to use steady, smooth strokes and take your time, there is no eraser! Be certain to engrave your whole Operation ID number, otherwise it won’t help. Engrave the number on an area of the object that is not easily seen or removed; a thief won’t think to file down a serial number that he doesn’t notice. If your local safety department has Operation ID decals, display them prominently on the doors and other entryways to your home, which will hopefully send those thieves running away with their tails between their legs. If you decide to sell an engraved piece of equipment, contact the person you spoke with originally about Operation ID for advice on the best way to transfer the equipment, without making the buyer look like a thief. **not really, but pretty darn close! Using Operation ID can really help keep your stuff in your hands. But, if it doesn’t, please don’t call me complaining that my “new personal mission” has failed you – I don’t think I can handle that kind of rejection. 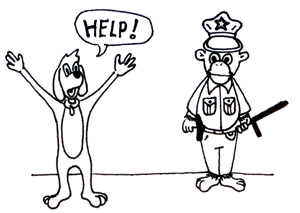 Instead, call the police…it’s their job to listen when the system has failed you. A police officer is your friend, so REPORT THEFT IMMEDIATELY!! You are not Sherlock Holmes… you cannot solve crimes (unless you are a detective, then I eat my words.) Use your golden log to provide your new friend, the police officer, with all of the necessary information, including the engraved number and its location on the item. See… it IS worth the time to make a log! Operation ID is a nationally recognized program, but it is not nationally regulated. As I said repeatedly throughout this article, every area has its own method. The article above is intended for informational purposes only, and cannot be looked at as instructions. Please Please Please… talk to your local safety department for your area’s method. For additional ways to keep your computers, laptops, and AV equipment safe, call us at (800) 466-7636. 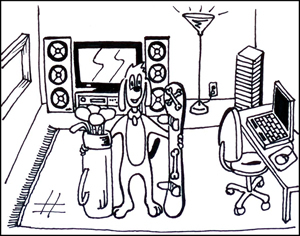 It’s been our own personal mission to keep your equipment safe for the last 25 years.